I missed showing off this quilt. 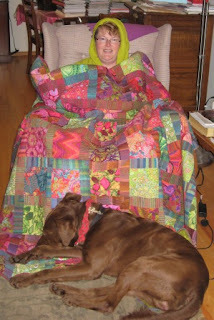 I made this quilt this past summer and fall and I was not keeping up with blogging at the time. I forgot to show you this quilt. I called it Flower Box. 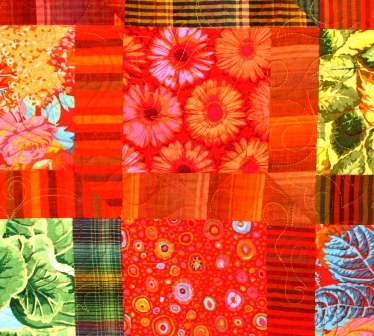 I bought many of the fabrics at Quilt Canada in Calgary in May of 2010. There was a bundle of fat quarters. I was not sure what I was going to do with the fabric - while make a quilt, but what? I decided to frame the floral with some strips I had already, in the attic windows block. 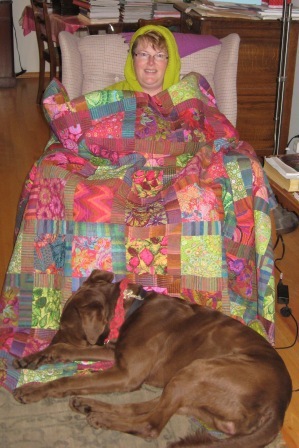 Here I am around Christmas all rapped up in my quilt. The dog at my feet. 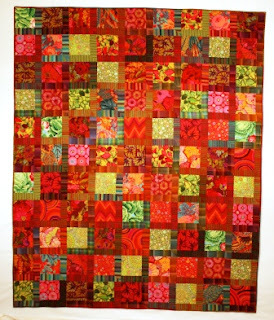 Gorgeous flower quilt Cathy- lots of wonderful Kaffe fabrics in it. 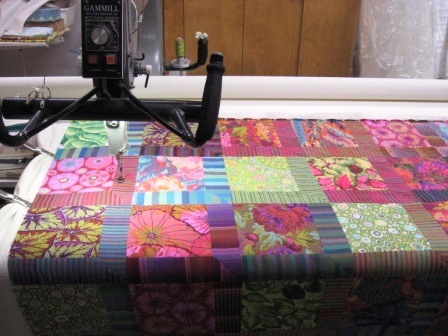 I have been collecting Kaffe fabrics for awhile now- perhaps one day I will get a chance to make it LOL. It is sometimes hard to balance making quilts for others with ones that one would like to make just because or for themselves..
Beautiful dog on a beautiful quilt- Hope you are surviving the mosquitos. Yes Anna you must make a Kaffe quilt. I am thinking of started another one. I have to get a quilt top quilted before I start another one.